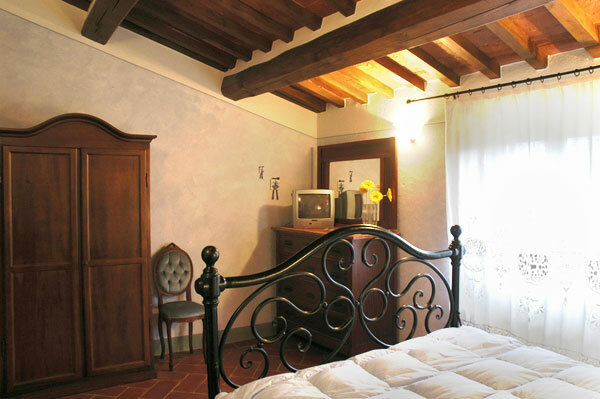 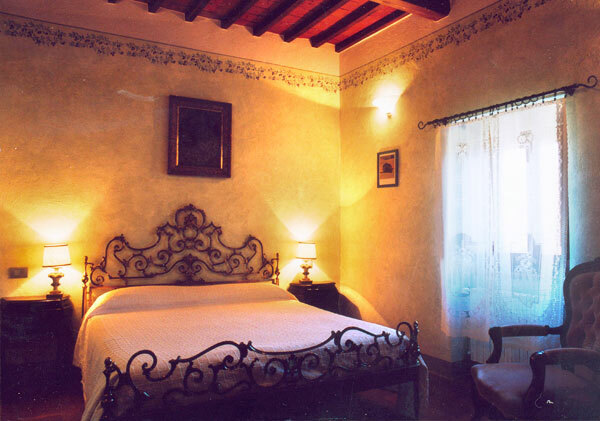 The walls of the B&B rooms, Andromeda and Cassiopea, are decorated with paintings depicting local fruit, olives and grapes. 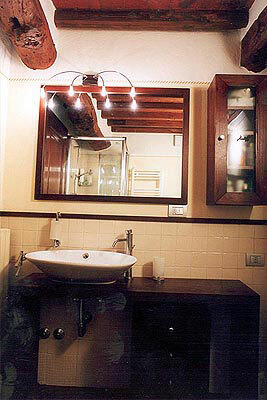 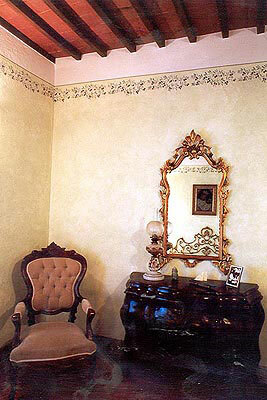 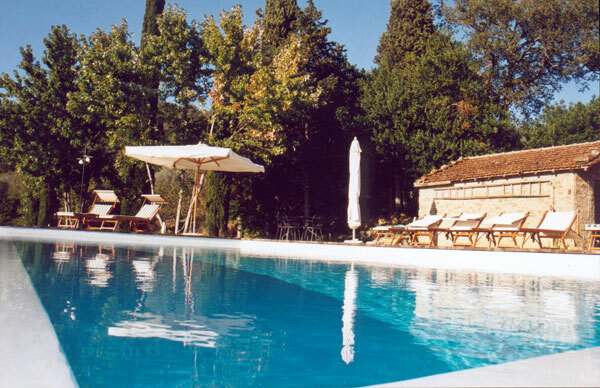 Both have a private bathroom and are furnished with restored antique pieces. 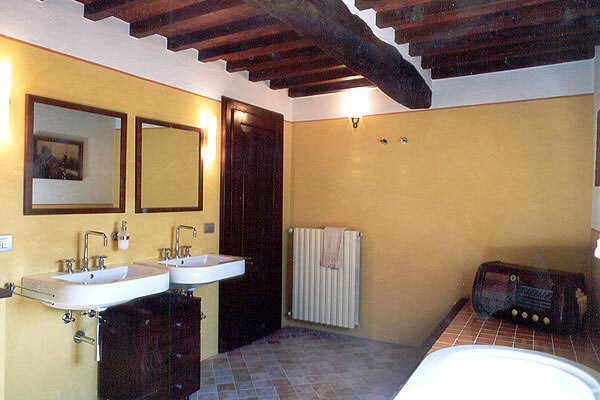 In the wintertime guests will be greeted in the morning with a rich breakfast buffet served in the downstairs hall, whereas in the summertime, after being woken by the sweet chirping of the sparrows and the cheerful twittering of the swallows, you'll be served breakfast on the lawn with only the bright green of the grass, peppered with poppies and daisies, the shimmering grey leaves of the sun-beaten olive groves and the towering cypresses to keep you company. 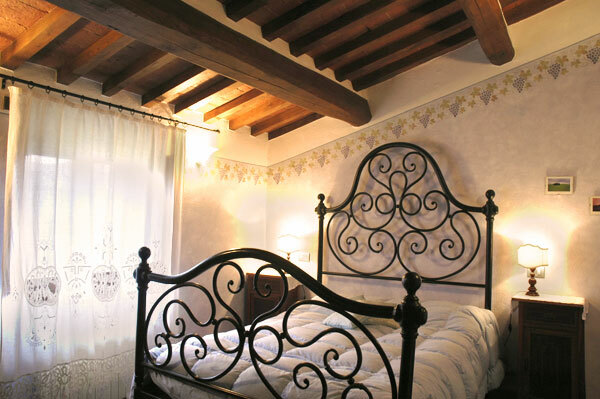 Our typical Tuscan cuisine will satisfy even the most delicate of palates and we will be delighted to have you taste some of our home-made cakes and pies, still prepared according to age-old family recipes.